Lower cost, Less maintenance time, Custom configurations are just some of the benefits of the Electro Breeze quality air purifiers. Used in casinos, hospitals, school buildings, high rise office buildings, food processing plants and anywhere dust, smoke, pollen and bacteria are a concern. Click here to see the return on investment scenario supporting the use of the Electro Breeze air cleaner system. Electro Breeze air cleaners are your commercial air cleaner system that is easy on the budget and still delivers high efficiency air cleaning. 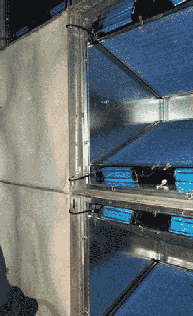 These quality air purifiers are available in custom sizes, V-banks, W-banks, with ultraviolet lights, whatever your need, call us to get a layout and free estimate for your project. 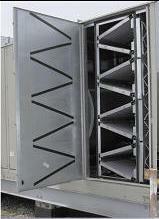 Click here to see appropriate applications for the Electro Breeze commercial air cleaner.